Professor Henry Mintzberg, OC , OQ , Ph.D. , D.h.c. , FRSC (born September 2, 1939) is an internationally renowned academic and author on business and management. He is currently the Cleghorn Professor of Management Studies at the Desautels Faculty of Management of McGill University in Montreal, Quebec, Canada, where he has been teaching since 1968, after earning his Master’s degree in Management and Ph.D. from the MIT Sloan School of Management in 1965 and 1968 respectively. Henry Mintzberg writes prolifically on the topics of management and business strategy, with more than 140 articles and thirteen books to his name. His seminal book, The Rise and Fall of Strategic Planning, criticizes some of the practices of strategic planning today and is considered required reading for anyone who seriously wants to consider taking on a strategy-making role within their organization. He recently published a book entitled Managers Not MBAs which outlines what he believes to be wrong with management education today and, rather controversially, singles out prestigious graduate management schools like Harvard Business School and the Wharton Business School at the University of Pennsylvania as examples of how obsession with numbers and an over-zealous attempt at making management into a science actually can damage the discipline of management. He also suggests that a new masters program, targeted at practicing managers (as opposed to younger students with little real world experience), and emphasizing practical issues, may be more suitable. Ironically, although Professor Mintzberg is quite critical about the strategy consulting business, he has twice won the McKinsey Award for publishing the best article in the Harvard Business Review. In 1997 he was made an Officer of the Order of Canada. In 1998 he was made an Officer of the National Order of Quebec. He is married to Sasha Sadilova and has two children, Susie and Lisa. 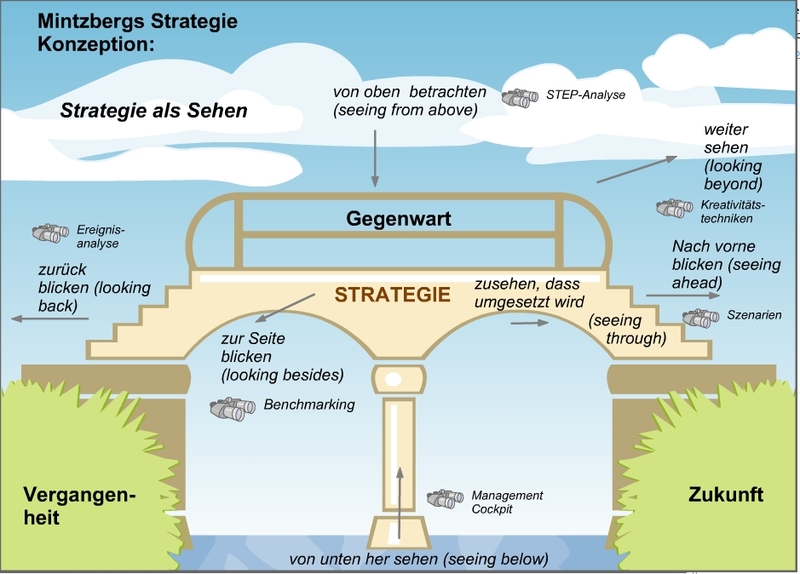 Henry Mintzberg, renowned for his heterodox view on strategy and master of strategic planning, says, “crafting as image better captures the process [of strategic planning] by which effective strategies come to be. The planning image, long popular in the literature, distorts these processes and thereby misguides organizations that embrace it unreservedly.” More can be found in his famous article “Crafting Strategy”.